Taleggio is a semi-soft, washed-rind cheese that has been made in the Valtaleggio region of northern Italy for a thousand years. 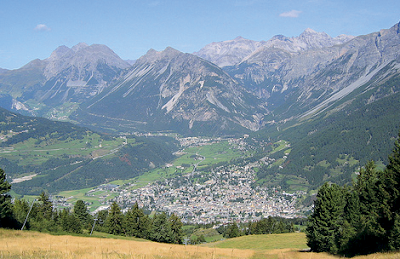 Val Taleggio is in Lombardy, bordering the Swiss Alps. Here, climatic conditions are exceptionally favorable for abundant and superior quality silage for dairy cows. Coupled with unspoiled high pastureland where commercial fertilizers and other chemicals are restricted, the area is a cheese-maker’s paradise. The rind in an intense, beautifully burnished orange-brown color with several molds and the stamp indicating it is a true Taleggio. It's characteristically aromatic yet mild in flavor and features tangy, meaty notes with a fruity finish. The texture of the cheese is moist-to-oozy with a very pleasant melt-in-your-mouth feel. The combination of the soft texture, pungent aroma, and buttery flavors has proven to be addictive especially when spread on fresh crusty bread. 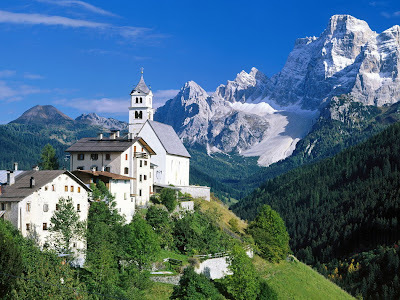 Taleggio shares a history with Gorgonzola in that it was also originally a product of the tired or stracca cattle that needed to be milked after returning from the long climbs down from summer pastures high in the mountains. The making of Taleggio is believed to go back to the tenth or eleventh century, with the first documents mentioning the cheese, along with grana, in the year 1200. Taleggio was designated an Italian cheese of Denomination of Origin in 1988. Today, this cheese is made all throughout Lombardy, and also the regions of Piedmont and Venetia. 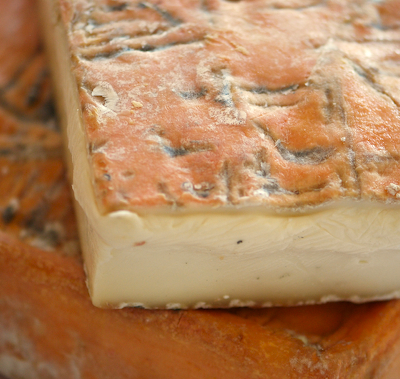 Taleggio pairs nicely with Italian Nebbiolo wines, as well as a wide range of reds and whites.